Schumacher was apparently wearing GoPro on his helmet. Why a helmet camera? I think something mounted to the bike would be much more stable, and therefore easier to watch video recorded with it. I have a handlebar mounted unit and can't imagine switching to a helmet cam. That said, I have seen some awesome race footage recorded with helmet cams, the POV really makes you feel like you're riding the bike. But other than for that, I think handlebar-mounted or rear-facing cameras are much more practical for everyday use. The wattage output and miles per hour display this guy has set up is really awesome, as is his brilliant win. Why a helmet camera? I think something mounted to the bike would be much more stable, and therefore easier to watch video recorded with it. One advantage of a helmet mounted camera is that it isolates the camera from trail shock because your arms, legs, neck, etc. act as natural shock absorbers. 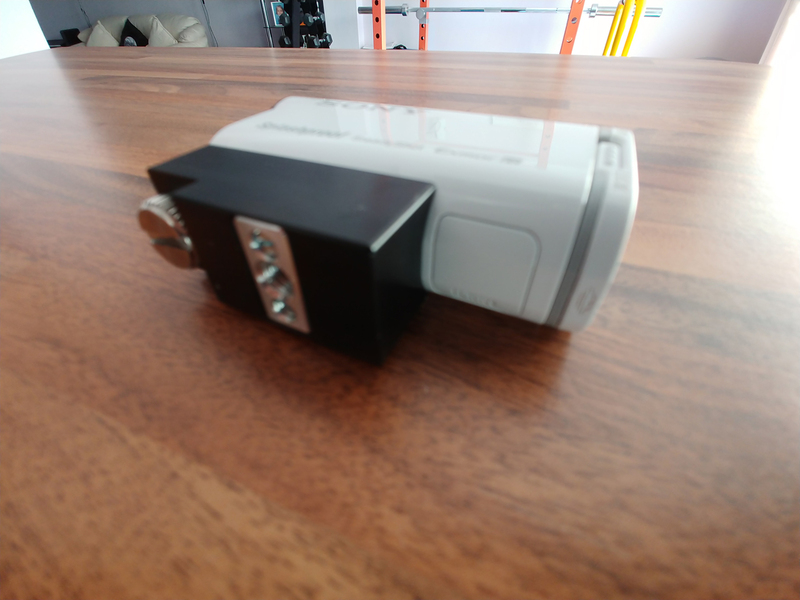 It also allows you to look around and point the camera more easily. It sounds like the OP objects to GoPro's form factor so maybe he would find something like the Garmin Virb attractive. Even though the quality is not as good as a Gopro. That form factor is good. Many thanks. However, it needs to be put into that big plastic case for it to be mounted so becomes bulky if I were to mount it to a helmet. The GoPro is an action camera specifically created for the exact purpose that you describe. Nevertheless, if you still find it to awkward they do make and even smaller version (albeit with less control) called the Hero Session 5. You should be able to find within your price range. There are also copy-cat models from other manufacturers and earlier versions of the Session that cost even less. It can be mounted on the top or side or your helmet. @KraneXL - does the Hero come with the straps needed for a helmet side-mount? The Bult Benny X3 helmet has (had) the camera built into the form factor of the helmet shell. Pretty sure they are no longer manufactured but there are some NOS available on Amazon & ebay. Yeah... pass me the popcorn too! The official mascot ... of that other board we are not allowed to mention here, sports a helmet cam, or appears to be. couple years ago Bike shop had some cameras the size of short flashlights.. I've seen lots of those on eBay. They seem to be a generic camera that's sold by many companies. Could be an option if my current action plan doesn't work out. In the meantime I've stumbled upon a supplier of what looks like a 3D-printed tripod mount for my Sony action cam which will allow me to use the camera without the case. If that works well then I'd just need a generic helmet strap that has a 1/4-inch tripod mount and that would work I think. One advantage of my Sony action cam is that it has GPS built in. I bought that one from Amazon last year. Returned it a few days later. When riding, the video was really bad, fuzzy. Not sure what the exact exchange rate is but I hope for that price you didn't expect much? 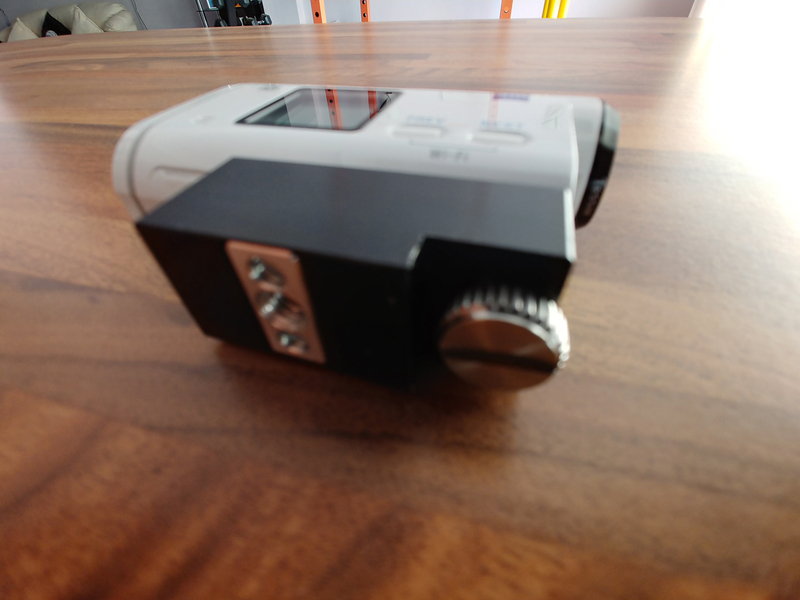 You probably don't need all the feature of the most expensive action camera on the market but there is a limit with how low you can go before it dramatically effect the quality of your results, or the quality of material and workmanship. My Gopro may be overkill simply as a recording device, but at least I know it can take anything I can throw at it and keep on going. That is pretty cool. Full 1080p front and rear cameras and the helmet looks a little like a Kask Mojito in shape, so that's not a bad thing either. An interesting and creative idea. Although it does have some limitations, its still a convenient way to acquire footage provided they work as indicated. I'm in touch with Cyclevision via email and am really impressed with their design and thinking. 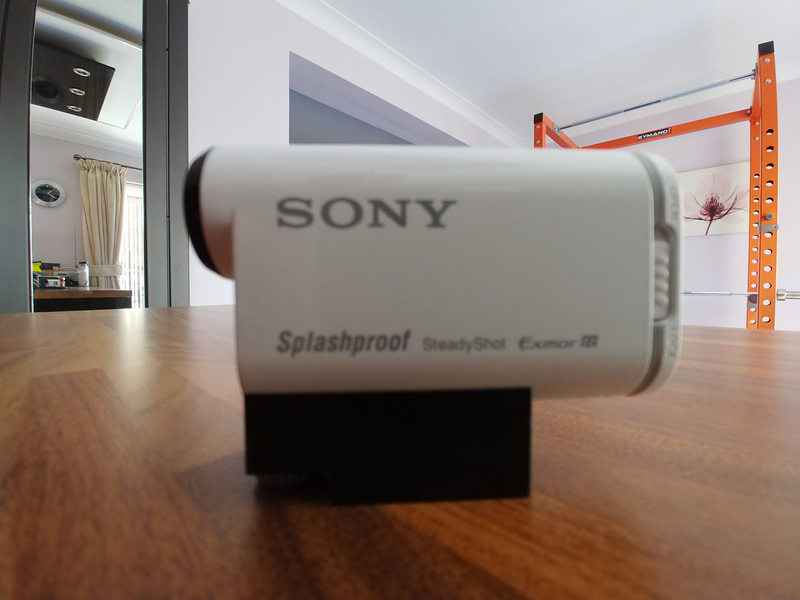 Anyway, for now I've moved one step further with my existing Sony action cam. I've obtained a tripod mount that fits nicely on to the camera body. It's a standard 1/4-inch tripod thread so I just need to find a helmet strap that can take a 1/4-inch tripod mount. This allows me to eliminate the bulky waterproof case that already had a 1/4-inch tripod mount on it. 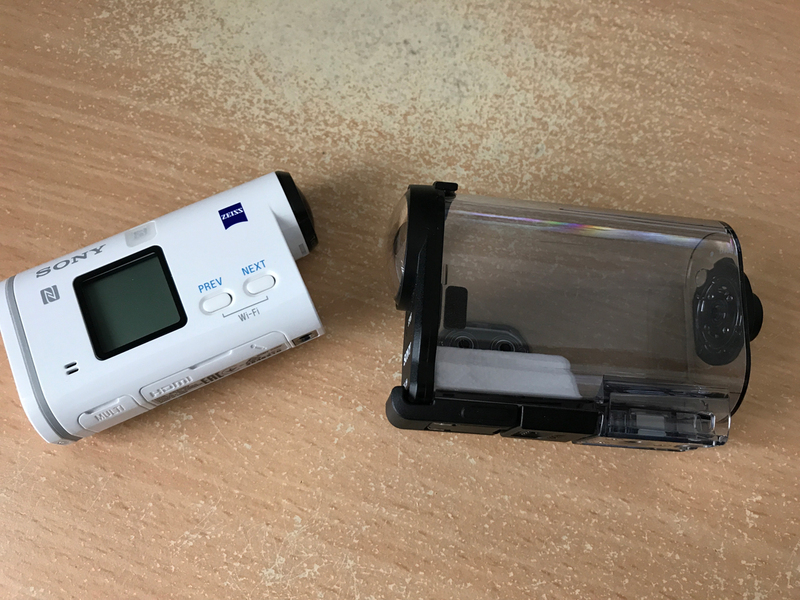 Anyway, for now I've moved one step further with my existing Sony action cam. So much for "a neat, discreet and good quality helmet camera that doesn't look awkward and odd" then.